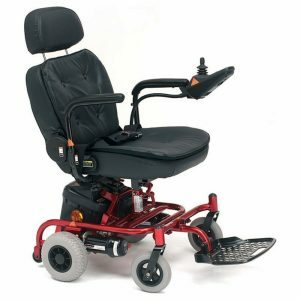 This Drive Sunfire Plus GT is a medium sized reconditioned 4mph powerchair, designed to bring you comfort,style and performance for everyday challenges whether it be indoors or outdoors, a captain seat and flip up footplate all provide a comfortable and secure driving experience The powerchair is fitted with a pair of 34ah batteries that provide a range of up to 16 miles on a single charge. 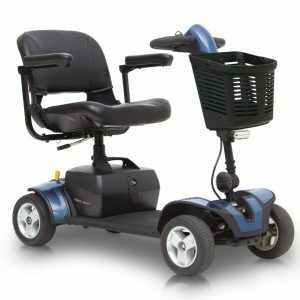 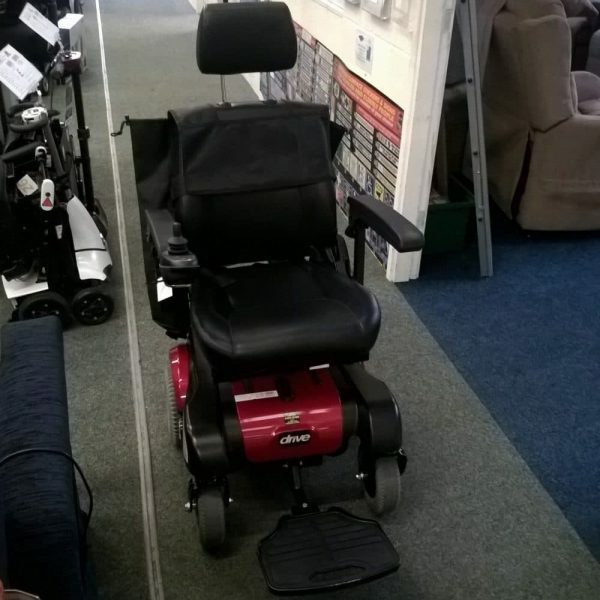 The powerchair has a weight rating of 21 stone. 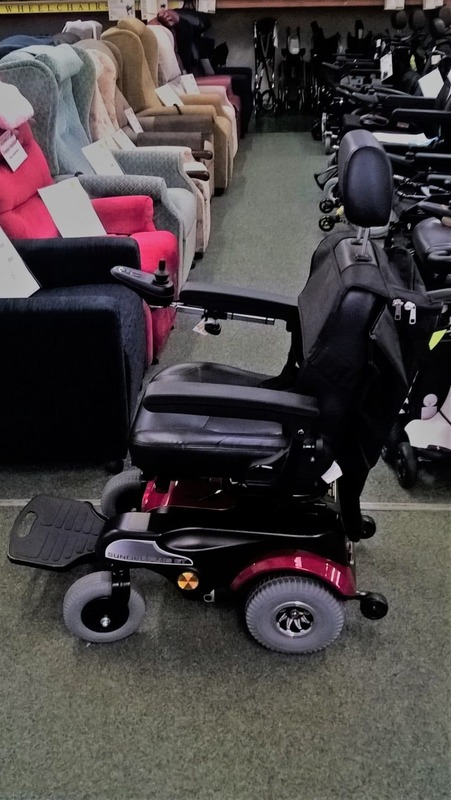 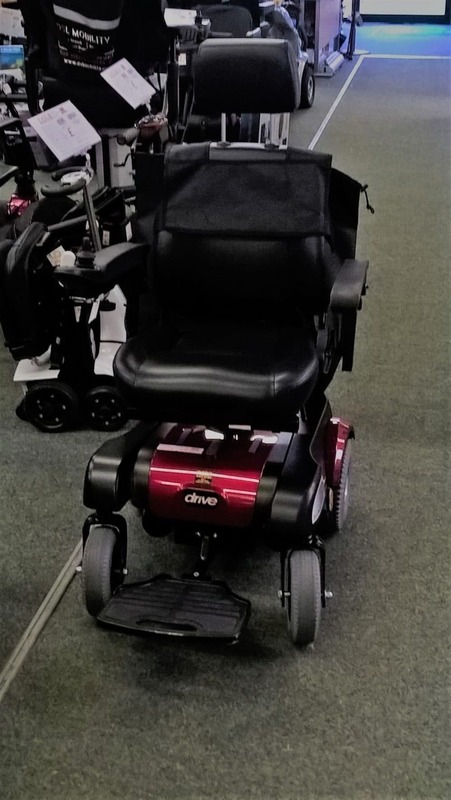 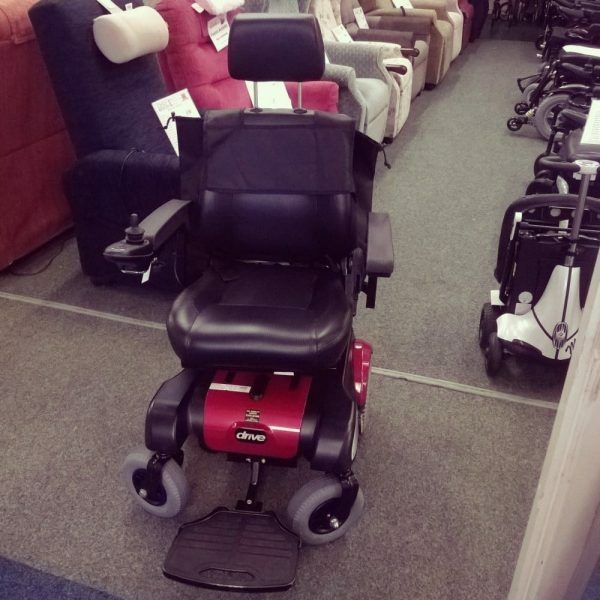 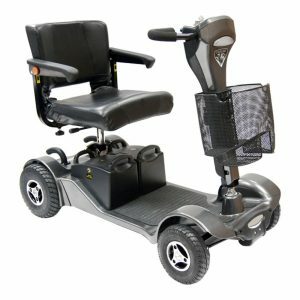 This particular powerchair has been fully cleaned, serviced and tested by our Workshop Team, ensuring that it is in its best possible condition. Its batteries have been replaced, and it is supplied with a DSL seat bag. 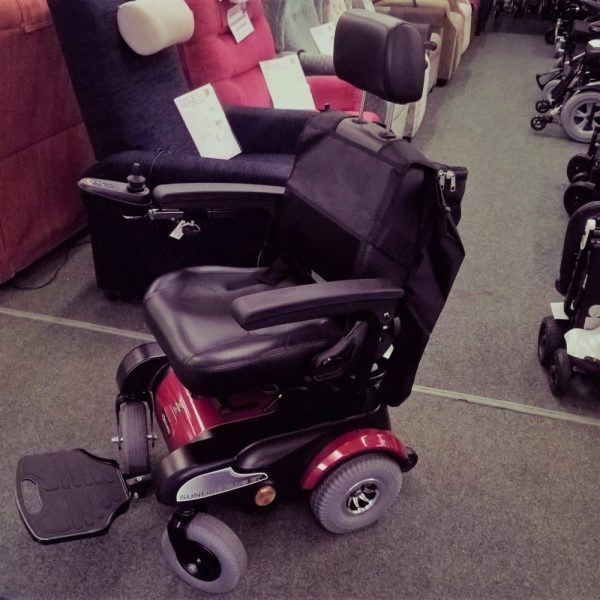 It is red in colour and features only some light cosmetic damage (scratches, etc). 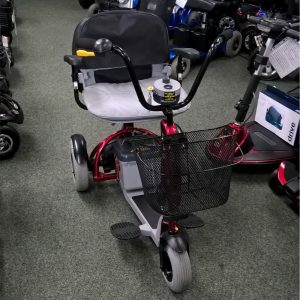 The scooter is guaranteed for 3 months from the date of purchase.